Someone needs to hire former NFL coach Jim Mora, Sr. to don a tie-dye tee-shirt in emulating the polarizing Mark Zuckerberg in vehemently denying the blatant unsanctimonious actions of the social network singularity systematic political cleansing of conservative ideology from the platform. 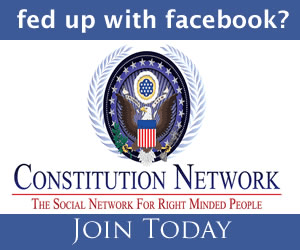 As F***book is stuck in a pending legal bog of harsh sanctions, the company is doing nothing to hide its anti-conservative bias and socialist agenda, albeit the disingenuous label of “democratic socialism” which is the same thing, another republican candidate was recently denied political advertising, reports KCRA-TV, adding to the 2018 tally of deplorable and unethical actions in an attempt to influence voters. The latest causality in the decrepit battle emblematic of the widening chasm dividing the political spectrum, is California congressional candidate Elizabeth Heng, as her submission of a political ad was rebuked in telling the inspiring and heart wrenching story that her parents faced in escaping the nightmares of the Khmer Rouge regime to make a better life for themselves in the US. Allegedly, campaigning as a republican and illustrating the fatal dysfunction of socialism, and the assimilation into American culture quantifies as hate speech on the community. FB moderators claim content within the ad, including the images of victims of the massacres and purges, apparently violated community standards. In April, the company updated terms and conditions to include ambiguous language referencing conduct not acceptable for posts and ads. While, a commercial entity reserves the right to dictate the ebb and flow of content, F***book pawns itself off as a forum for open discussion, a myth which is becoming exceedingly tedious to a broad expanse group of users. In the case of Heng, her commercial was fortunately and inexplicably reinstated, as quite possibly the powers that be weighed that placing sanctions on a minority woman running for office regardless of political affiliation and managing to discount the powerful story of her heritage in a two for one special of hypocritical proportions, was probably not most effective PR move. In the grand scheme of digital indiscretions culminating with the mishandling of millions of accounts, this incident is merely a drop in the bucket, but requires dialogue and transparency in the fight for accountability and decency. Read the KRCA-TV story here.